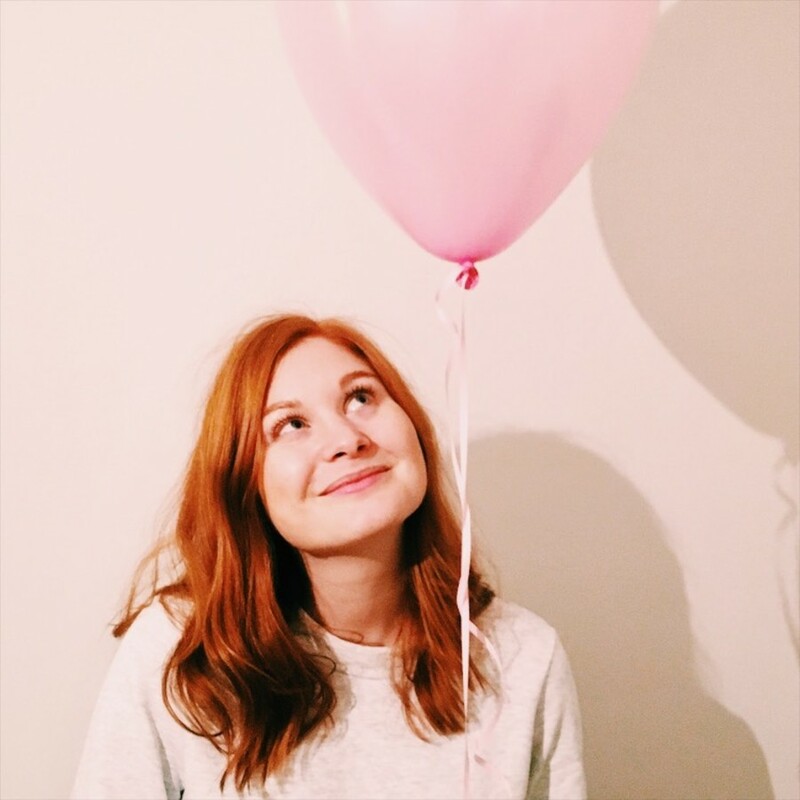 Emelie’s background in graphic design enabled her to work for global brands such as H&M and start her own freelance business. Once she started working more with clients, it quickly became clear to her that adding coding to her skill set could be a major career move. Hi, Emelie! Tell us a bit about yourself. I’m born and raised in Stockholm, but I love to travel and experience new places. During my studies I took on an internship in Buenos Aires and I’ve also lived in Amsterdam for a year before settling in Stockholm. At the moment I’m on maternity leave taking care of my 4 months old son. I’ve always been excited about graphic design and animation -- I love the playfulness and the cleverness you can bring in to it. Another big part of me is how I love structure and tidiness. I’ve experienced this as a great quality when it comes to coding. There is nothing I enjoy more than seeing a mess and sorting it out. I have an education in graphic design and animation and I’ve had various positions within design, mainly in the retail industry. Right before attending Technigo I worked with final art at H&M, basically creating and preparing images for the website and social channels. Next to my full time job, I managed my own little design company on the side, taking on minor freelance work. I first got familiar with frontend when I got requests to design websites. I helped friends and family with designing and creating sites on platforms like Squarespace and Tictail, where you get templates and modules that you can edit yourself. I started small with adjusting CSS and googling how to do things. I realised how much I enjoyed this work and I thought I should learn how to create my own sites and write my own code, not just edit someone else's. It was very clear that there was a business opportunity for me to work with coding. I got so many requests for creating websites rather than regular design work. So besides having a lot of fun coding, I also realized it could be a good career move. The combination of being a designer and also knowing how to code is very valuable, something I didn’t know until I actually started searching for jobs after studying at Techingo. Since I had already done some studying before I really didn’t want to go back to school for that long. Attending a three year program to get another degree really wasn't for me at that point. A friend recommended Tjejer Kodar to me and I went to their website but didn’t find any course that worked in terms of timing. Soon after, I saw them promoting this new bootcamp by Technigo. The timing was just perfect! I think I found it a few weeks before the applications were due. I bit the bullet and signed up. Never looked back! What was the best thing about learning new skills? It sounds a bit cheesy but it opened up a whole new world for me. Combining design and code has given me so much more freedom. Instead of designing a website and handing over my designs to a developer, I now have the skills be a part of every part of the process. It feels extremely liberating. "Instead of designing a website and handing over my designs to a developer, I now have the skills be a part of every part of the process. It feels extremely liberating." Now I’m working as a frontend developer at Mojang. I’m hired as a developer but even though I don’t design anymore I still benefit from my old skills and use them in some way everyday. Whas it difficult for you to find a job within coding? I was very lucky to find a job right away. Mojang was one of the companies that Technigo already had a collaboration with, so I actually got in contact with them through the program. It was an instant connection for me. I got so excited about the company and the product and I think my profile as a designer and animator really interested them. Even if you are not sure that you want to work as a developer in the future, you will definitely benefit from learning programming, even if you only know bits and pieces. It will absolutely boost your career. It’s valuable for an employer to hire someone with different skill sets, but I also find that it benefits the collaboration with colleagues in different departments. For instance when I work with designers at Mojang I can tell that they appreciate that I have a design background when I go ahead to code their designs. It’s easy to communicate and do a good job because we speak the same ”language”. I figure it’s the same the other way around.